CES Systems can install customized fire detection (alarm) systems that can sense heat or smoke in any home or commercial business that instantly notifies CES Systems to send help while warning occupants of the home or employees and customers in a commercial setting. CES Systems also works with your local fire department for installations and routine and/or annual inspections in commercial buildings. Our fire detection systems can be integrated with other CES Systems security systems such as closed-circuit television systems. CES Systems is a turnkey fire safety solutions provider that can build systems to fit your home or commercial needs. As part of our services we provide the installation and service of fire protection systems such as fire alarms, fire detection systems and monitoring of sprinkler systems. 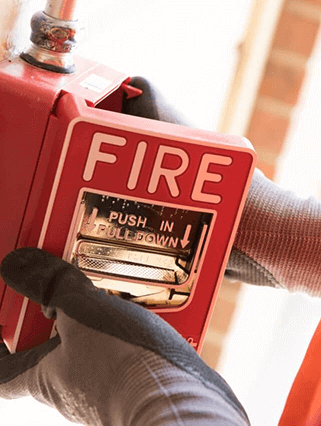 We strive to incorporate safety of your building’s occupants while monitoring fire hazards through early detection systems which will help reduce potential damage caused by fires. CES Systems provides you with peace of mind, knowing that your facilities, and the people who live, work and play in them are safe. We work hand-in-hand with owners, architects, general contractors, and other trades to ensure that your fire protection, and/or suppression systems are integrated within your facility in a manner that does not interfere with the aesthetics of construction. Start saving and protecting your family and/or business by teaming up with CES Systems today! Contact us to get a quote on your home, business, or commercial project.